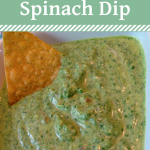 Spinach dip is always a favorite for parties and game day celebrations. It’s easy enough to pick some up at the deli on your way, but why not take the extra step of making yours at home? That way you know exactly what’s in it and can adjust for your tastes. And everyone will be impressed that you made it from scratch! This recipe is inspired from Simply in Season. 2 Tbs garlic minced; I used two large cloves, which turned out to not be enough. I added another two after the first blending. Would double this at the beginning next time. I also added two sliced radishes at this stage. Saute' the garlic in 1 tsp oil until soft. Chop the spinach, then add to frypan until it wilts. May need to add water to prevent sticking. Add the spinach and garlic to a food processor or blender. Add remaining ingredients and serve as is or heated. Garnish with tomato and/or cheese and serve with pita wedges or tortilla chips. The Verdict: I asked DH if I should add artichokes like they do in the restaurant and he said no, it’s perfect. He loved it, and so did I! He added his to a chicken salad wrap that he made, which is another great use. He said I have to make this again. I have done this with swiss chard and it is wonderful! Made this last night and it was DELICIOUS! I completely skipped tearing/chopping the spinach since the food processor took care of all that. I also tried 4 cloves of garlic as you suggested, and that worked well. SO easy and delicious! Perfect for game day munching! So perfect for game day! Chips and dip are always perfect for game day! 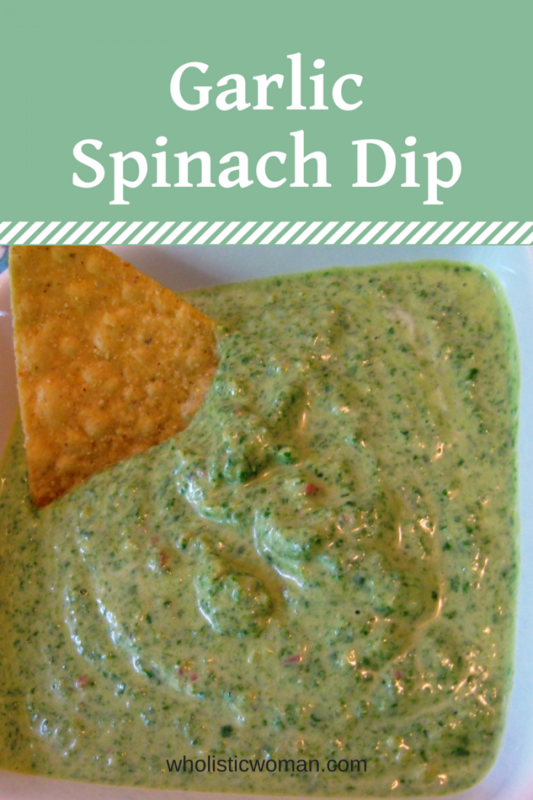 This would be great as a sandwich spread too- love garlic dips!